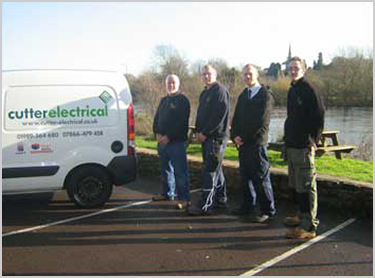 About us - Cutter Electrical | Commercial, industrial and consumer electrical contracting services. Nearly 30 years experience. And 30 years of success. 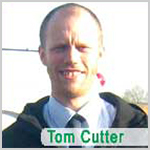 Cutter Electrical was founded in 1982 by Phil Cutter who has built the business steadily ever since. Cutter Electrical is proud of the fact we will happily carry out any works from installing a customer’s light fitting to working on large scale commercial projects. Our company believes in getting on with the job in hand with the minimum of fuss. Everyone at CE takes pride in our Friendly and professional manner and we are always ready to go the “extra mile” to get the job done. As an Electrical company the health and safety of our employees, fellow contractors and our customers is paramount, We are inspected regularly by NAPIT and Trust Mark to ensure the our work remains of the high standard our customers have come to expect. The company is now run by Tom Cutter. Tom joined the company in 1996 as an apprentice engineer. He has worked his way up in the company ever since gaining Electrical qualifications up to and including City and Guilds 2391 as well as a BA (Hons) degree in business studies along the way. 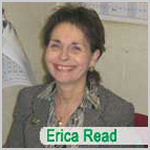 Erica is often the first point of contact for anyone calling Cutter Electrical and is happy to deal with any enquiries you may have. 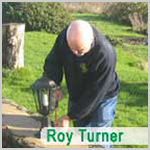 Roy is an ex-Electricity Board engineer and has over 40 years experience as an installation engineer. As our most senior foreman, Roy is responsible for the on-site management of many of our projects.